The hints, nudges and 'intuition' you feel is the direct communication from your subconscious. Do not confuse this with psychic energy, though, closely related and somewhat similar, it is not quite the same. The feeling of Deja vu can sometimes be an association that surface when we are doing an activity and the subconscious already has a file on similar activity. It feels as if we have done it before because our subconscious mind feels a kinship of familiarity with a present activity. However, Deja vu can come from deeper levels, like precognitive dreams, or the super consciousness. When we desire something we create a strong attachment and connection to the thing we desire, whether it is a healing, an object, a mate, a job, etc.. When we do this we build an energy 'bridge' between the thing desired and the ourselves. 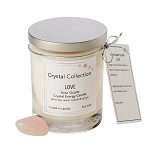 This strong emotional connection is one of the components as to why candle burning can actually work. The energy force of the mind is a powerful tool. Usually, if we move something through the subconscious it will have a more lasting effect that if we do it in just the conscious mind. When we use the conscious mind it is much as if remembering a phone number that we know we will not use again, we use it then quickly dismiss it. Using the subconscious is more like remember something by association. There is a chain or collection of "tagged" associations. i.e. : How I remember 'Rorschach ink blot personality test' is by thinking it as a , 'Roar+Shack'. I picture a shack animated roaring like a lion. Hey, it works! Okay? See, there is some sort of an association. The shapes of candles plays an important role in the configuration of energy. As with most objects the visual aspects of them, will conduct energy along certain lines. Shape gauges the energy structure. The color and the scent, if scented ones are used, have an effect on us, which in turn will also effect the channeling of the energy. All of these components are like an orchestra, each contributing their part. We are the conductors of that energy, using the tools of shapes, color, scent and sound. Take care to use scented candles or any sounds as they can be more distracting than helpful. I do not recommend using 'novelty' or 'decorative' shapes as mostly they are a detraction to the serious candle officiate . If you have an absolutely must shape, like a butterfly or winged heart, or a particular scent, that you absolutely love. Then, maybe, but only because of the emotional connection one would have to it. Emotions are very powerful entities in Candle Burning.. This type of ceremonial participation bears a strong connection to the subconscious mind. 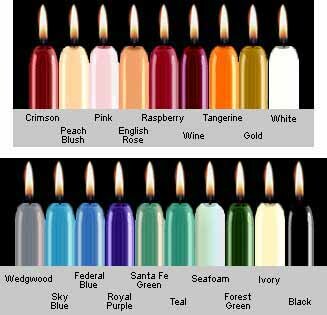 Color is important to the practice of candle burning for two reasons. One, the color chosen is a particular frequency. It will contribute to the pool of energies as a whole package. Along with shape it helps signature the vbs. (vibrations per second) of the resonating value. Combining these with the force of your emotional attachment they become a potent catalyst for manifestation. Doesn't everything we want begin with our thinking of it first? Yes, so what we think is a valuable component to the manifestation. 1. The color of the candle is the frequency you will amplify and release. 2. The color of candle you choose is determined by what is needed. 3. Candles should be 'dressed' and cleansed before each use. This rids the candle of any accumulated negativity. I recommend rubbing them with an all cotton, white color, flannel fabric. Rub them in one direction only, as not to build any static charge that could affect the energy flow. After you cleanse them hold the candle and state a simple affirmation over them as a 'blessing' of the candle. 4. Never mix use candles. i.e. : If a candle as been used for healing never use it for anything else. This remains true for all uses. Do mix use will conflict the energy and weaken or disrupt the clear frequency. 5. This is THE GOLDEN RULE of candle burning. Never use candle burning to inflict pain, discomfort or to manipulate another person's Free Will. To do so will create some very negative karma for the one who does it. In candle burning one produces ten---which means whatever you put out to someone else comes back 10 times on you. As an added note of information for those who may not be familiar with. The Law of Manipulation. One should not pray, excite or execute any motion of thought or action directly 'to' or 'for' another without their explicit acceptance. Nor should one do absent healing or any for of energy implementation toward another without their avowal. It is allowed and not a Free Will breach to generally pray, excite or excite energy implementation for or toward another. i.e. : 'I pray for the uplifting of all souls.' 'May those who are in need find assistance and safety.' These examples DO NOT breach the laws governing Manipulation. 6. Never use the breath to extinguish a candle flame. To do so affects the frequency of the ending part of the candle burning session. The breath is an energy affecting force and is use in other forms of healing. The two creative forces of 'breath' and 'flame' can conflict the creative forces and desired effects instead use a metal cup or flame snuffer made for this purpose. The triangle is a symbol of manifestation. It will amplify anything put into it. Triangles to have an effect on anything inside them. In the 1970's triangle shapes were used to preserve milk and other food without refrigeration. I do not recommend anyone doing that as the technology is more complicated than I am explaining here and one might get ill if they try that, but commercially it was done. I know with my own experiments with pyramid shapes, I mummified meat in 3 days with just a simple, basic pyramid. My grandfathers' razor blades (before the days of Bic throwaways) lasted for one year when stored in a pyramid. As you can see the triangle is amplifies the energy in a unique way. The three is symbolic of multiplicity, creative power, growth and the forward movement overcoming duality. In the Tao three is the central number of equilibrium. The 4 cornered box shape is an important shape to any foundation. Its metaphysical meaning has long been understood as a stabilizing force. It grounds and focuses the physiological system. It is the root of all. Four is the spatial configuration of order. It is wholeness and totality. It represents the solid upon the earth plane. It is representative of the 4 elements of, fire, air, water, earth. In Buddhist philosophy the four limbs and from it's roots come forth the four noble emotions of, compassion, affection, love, fairness - without judgment. It is the ultimate is protection. Circles represent the cycle of birth and rebirth. The circle is symbolic of all cycles in nature. Birth, growth, Transition and Rebirth. It is seen as Number One, the Prime. The Godhead, and Source of All. It is the IS and Ever Will BE. Nothing can penetrate a sealed circle. Whatever is placed inside is protect from outside and whatever is inside can not get out. The circle is unlimited. In some cultures it symbolizes the Void of which spoke Buddha. Whatever color candle one decides to burn in the circle it will bring exact measure. Know carefully what you ask forth, for ye shall surely receive. This configuration affects all four elements of earth, fire, water, air. The cross brings in the perfect balance of feminine and masculine energy. Therefore it touches all aspects of the human form. It links to the heart as center. 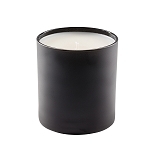 It is the one configuration that will absorb any color candle used. The number four is, again, important as a key registration to the energy field it creates. i.e. : see: The Square. Whatever you burn the candle for , think of it as being the 'correct' balances of matter. It is the foremost symbol of divine, celestial presentation The star symbolizes the highest attainment in the heavens. Star shine amongst the noble gases and carbon compounds of space. They are energy manifest, raw, potential and concrete. Stars have strong religious connotation. Stars guide, we even wish on stars. They are symbolic of high aspiration, education and spiritual practices. The pentagram is significant in magic, witchcraft and certain practices in the older arcane studies. In some practices it is used upside down, but that is considered by most history to be a very negative use of the pentagram forces. The five points are representative of the human body. Head, two out stretched arms, the trunk of the body, two legs slightly apart. The five is quincunx , the center, the meeting point of the heavens and earth. It is the four cardinal points with the center. It represents God as Source. and the four greatest forces. It is strength, versatility Five represents the 'Light'. I find all this very interesting when I apply the five configurations and meanings to the Crop Circle that I was drawn to a few weeks back. I did extensive 3 D models and the geometry was revealing. No matter which way I configured the intricate angles they always came out to the representation and depiction of ancient meanings of the Godhead, The Source and the creation and manifestation of Light upon the Earth plane 3 dimensional time frame. Taken in context to the other symbols found like my name, repeated numerous times, and the yin and yang and many wonder other symbols that where found there, it told a beautiful story of my own spiritual path and beliefs. When this layout is used in candle burning it moves the energy in a way to strengthen. It fortifies all within the assigned area. It creates a higher spiritual field. Visions are a possible manifestation within this field of energy. The Seal of Solomon. The abstract of creation. The two intersecting triangles represent the duality of masculine and feminine energies. The elements of fire and water combined. The are the depiction of "as above, so below" as well known in metaphysical edicts. Six is equilibrium and harmony. In most cultures it is seen as the 'perfect' number. In ancient arcane studies the six is human manifestation upon the earth plane. The two intersecting triangles blend the perfect polarity of energies. It's frequencies resonate to beauty, luck, love, health and things "by chance". This is great for meditation. To burn candles with this layout is good for linking the mental plane with the heart chakra. It protects and balances. Burning candles in this layout will enhance your own divine aspects and qualities. This is the one configuration that affects all the main chakras if one side directly in the middle. It will balances and align most energies. It is the cycle of completeness. It is security, safety, rest, and peace. Seven is a reoccurring theme through most ritual practices. Seven is a high spiritual number and is also repeated throughout all scriptures. There are seven knots of 'spellbinding'. The sevenfold principle. There are seven zones of earth and of heaven. The Tree of Life has seven branches and seven leaves upon those branches. As you can see the seven is a highly spiritual number. Use it in candle burning with the most high of intentions. It is the best to use for the 'healing' energies. Here, I will set an example of a standard candle burning session. First, I recommend a short meditation session, just to clear your energies and help you focus. This is a very good practice, especially, if you have had a very draining day, and have come in contact with many negative energies. Just using public transportation home would be enough of a reason to cleanse first before you enter the circles of Light and Energy. Can you imagine the effect if you brought all that conflicting negativity with you in the configuration? Let's say you want to bring money to you. You need money. Next, you will choose the appropriate color. You could choose, Gold, Green or Brown. One has to decide the nature of their money needs. Brown is usually for financial crisis, where Gold is more for quick money and improving financial flow. Green is more for vast wealth. In this case some quick money might do, so I would choose Gold. Next I would set up for the Triangle layout of candles. See the diagrams. At this point one "dresses" the candle buy cleansing them with a white all cotton cloth. Taking care to rub in one direction only so there is no conflicting of energies. Rubbing in one direction "tags" the frequencies and help excite the atoms and molecules. Sit in the middle of the triangle. Holding the candles in your hand say some blessing or spiritual affirmation such as, "Oh Universe or Oh Lord, bless these candles." "Give bounty to my request if all is in balance as I ask it." The reason we ask this way is that sometimes we 'think' we know what we want or need - this may or not be true. We see only a small portion of the larger workings of Universe. Sometimes we are not always aware of the deeper reasons why things are going on in our lives or around us. As such we may be in direct conflict of what should be happening, and is supposed to be happening. This is why we petition but leave it as, I would like this or that, or "if it is in my best interest". Trust the Universe to know if it fits in with what is supposed to be going on. We also want to ask in a way that ensures that no others will be harmed or lessened by our request. Then we must take care to be very thorough. Yes, there is a reason to be very thorough. In asking for something, you may know what you mean, but if you do not state HOW then Universe will supply it by the shortest means possible. Energy follows the path of least resistanceƒ.This means that it will find an opening any place where there is one. As the creators and orchestra conductor it is up to us to manage our experiences with the utmost of responsibility. It is said that Universe will help once we have exhausted our part in availability. Here is an example of what I mean. Say you ask for some money without the stipulation, of just how. Now, Universe hears this request and primes all energies. In the next three days you fell in the grocery store. You injured yourself. You received a check from their insurance for $1,200. Well, yes, you got your money, but at what cost? I once asked for a new car. I was tired of the one I had. I asked just in that manner. "Oh, I said, Universe bring me a new car." Well, 2 days later Universe brought me a new car. You know how? I got into a car accident and totaled out my car - well, I got what I asked for didn't I? But look at what it cost me. My request took the shortest possible path. This episode taught me a very valuable lesson in petitioning. Stipulate thoroughly, as to your intent. Have it come in the most balanced way. Make sure it harms not yourself or others in any way. Begin lighting the candles in a clockwise movement, in sequence. Never out of sequence, that is chaotic energy. 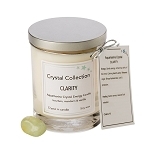 With each light of the candle reaffirm the desired object or effect that is wanted. Next, sit, quietly, for 10 or 15 minutes and visualize the object, etc., surrounded in the color candles you are using. Breathe deeply and slowly inside the triangle. After the allowed time is over. Usually, 10 or 15 minutes will be enough time inside the candle layout. Next, you must extinguish the flame of each candle. Never use the breath to extinguish the flame. The breath has its own power and source. It will conflict the desired energies. Use a metal cup or a store bought candle snuffer. Your session is now over. You may, depending on what you are asking for, want to do this for several sessions. I hope you have found this informative and helpful. I wish you much joy and good health.